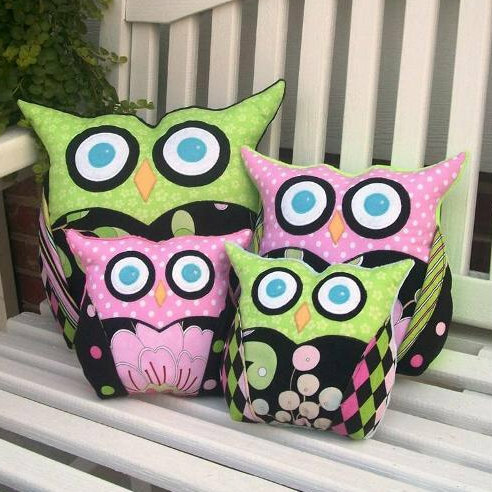 Owl Pillows – Free Pattern Fridays @ Craftsy.com – Crazy for D.I.Y. June 7, 2013 October 30, 2016 • Crazy for D.I.Y. Who doesn’t love FREE patterns? 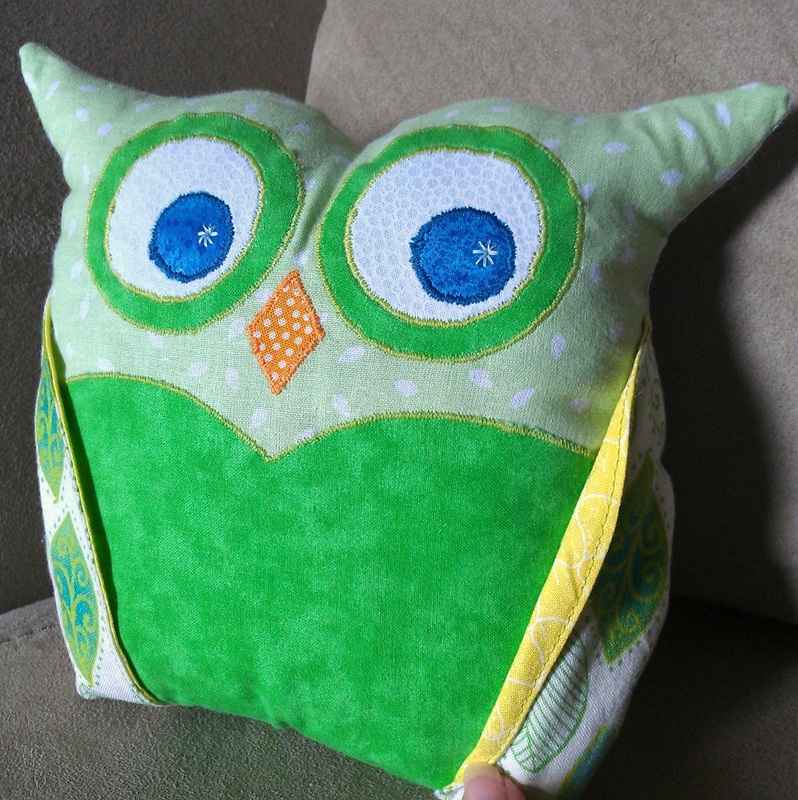 Craftsy.com posted this wonderful free pattern called “Sew Wise Owl Pillow PDF Pattern” on “Free Pattern Friday” via Facebook. It’s a beginner level sewing pattern – so it’s super easy to do! The hardest part is getting the right fabric combination. This pattern, created by Foot Loose & Fancy Free Patterns is easy to download, follow instructions, print and cut out which owl you want to sew. There’s a Papa, Mama and Baby owl option – totally cute! I love the snazzy accent color fabric you can sew under the wing. The best machine setting for my machine to sew applique edges: zig zag stitch at 1.5 width and 0.3 length. Next time I will use a stabilizer for smoother lines. I used Steam-A-Seam 2 fusible sheets for the eyes, beak and chest appliques and was extremely satisfied. Easy to use and the best part is that it’s not permanent until you iron them, which is very important! Posted in SewingTagged Baby, bookends, craftsy, diy, Fabric, free pattern, owl, pdf, pillow, scraps, sewingBookmark the permalink. Super cute! This is one of the better owl pillows I’ve seen.